Welcome to the Library Employment site! Thank you for your interest in employment with the Deschutes Public Library. Applicants for all positions must apply online by creating a user login and profile to use for current and future openings. Please review your application information carefully and verify that the information is correct before submitting. Applications cannot be modified once submitted; however, you may save your application for future completion at any point in the application process. Due to volume, we will only contact applicants selected for an interview. We are unable to respond to personal inquiries regarding candidate selection, or perform additional reviews or changes to applications. You will be contacted by a hiring manager shortly after the position closes if you are selected to move forward in the recruitment process. Veterans please submit the completed Veterans Preference Form and required supporting documentation to Human Resources using the contact information noted below. The required documentation must be received before the job closing date and time. Applications and/or Veterans Preference Forms submitted after the posted closing deadline are not considered. Do not submit your application until you are certain you have reviewed and verified that all the information is correct. Once you click submit, you will no longer have the option to update your application. If you have to interrupt the application process, please click the save button. Failure to do so will result in the loss of your information. Communication regarding your application and/or status will be sent to the email address provided on your application. If you are selected to move forward in the recruitment process, the hiring manager will contact you to schedule an interview. Due to the large volume of applications we receive, we are unable to respond to personal inquiries regarding candidate selection, or perform additional reviews or changes to applications. If you are a veteran, submit the completed Veterans Preference Form and required supporting veteran documentation to Human Resources using the contact information noted below. The required documentation must be received before the job closing date and time. Library Administration Hours – 8 AM to 4 PM and closed from noon to 1 PM Monday to Friday. The Library Administration building is located at 507 NW Wall Street in Bend across from the Bend Boys and Girls Club. 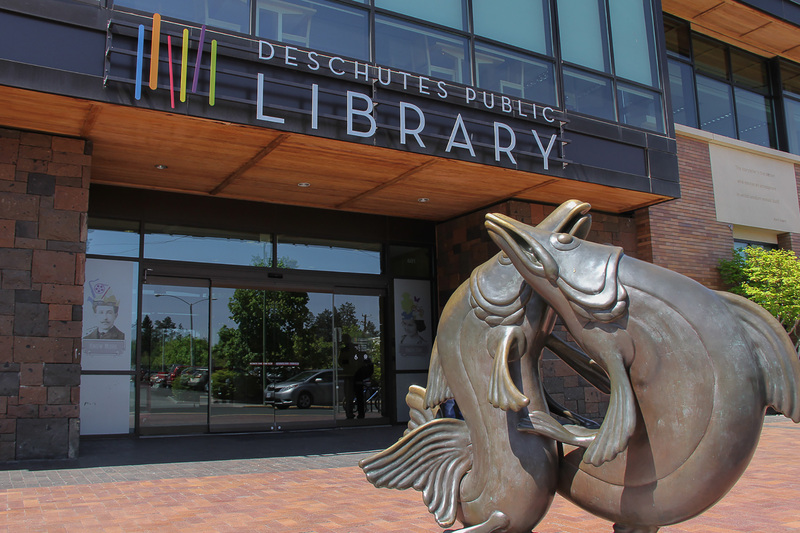 Deschutes Public Library is an Equal Opportunity Employer and supports the Americans with Disabilities Amendments Act (ADAAA). Please advise the Human Resources Department of any reasonable accommodation you need in order to participate in the Library's employment-related activities. Please provide 48 hours' notice to the Human Resources at (541) 312-1025.